A white collar profession requires formal outfits especially when attending business meetings, social events and important occasions. Men usually have less accessories worn compared to women. Cufflinks, aside from a watch are referred to as one of the formal jewelries generally worn by men with their formal shirts. These buttons are intended for use with shirts which have buttonholes on both sides that usually have no buttons to fasten. Cufflinks are one of the best presents to give on occasions like birthdays that would be gladly appreciated aside from the latest gadgets. It would be a great souvenir too which can be used time and time again. One of the sites that offer a vast selection of these studs is Gift4him.com. The father, being the pillar of the house deserves the best and lasting gift. Wearing a decorative fastener on his formal shirt will truly do make the suit. It is a fashion accessory for a trendy or classic look that adds elegance and completes a man’s formal outfit. 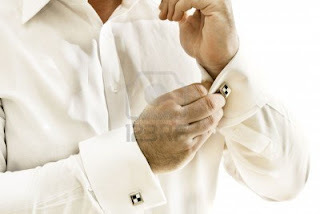 As for my husband and eldest son, cufflinks are a must-have for a formal suit is incomplete without it.